Gumwood: Arts and Crafts period home, San Francisco, CA. 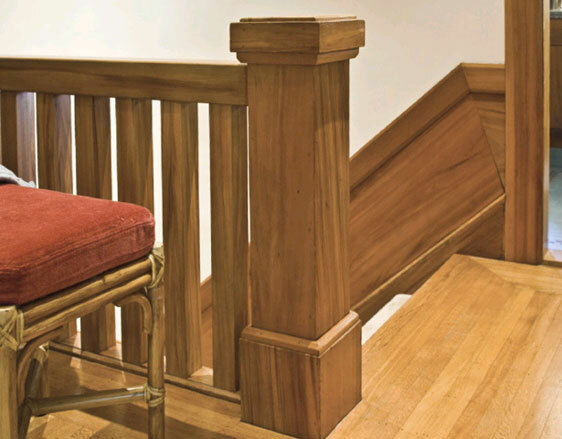 This gumwood banister and newel post was badly damaged by a previous owner's large dog. George restored the railing, banisters and newel post by first building up with filler materials then sanding and priming before woodgraining. Oak Graining: Formal Salon, Thomas Fallon Museum, San Jose, CA. Built in 1855 by San Jose's 10th mayor, this opulent early Victorian style home was the first of its kind in San Jose. 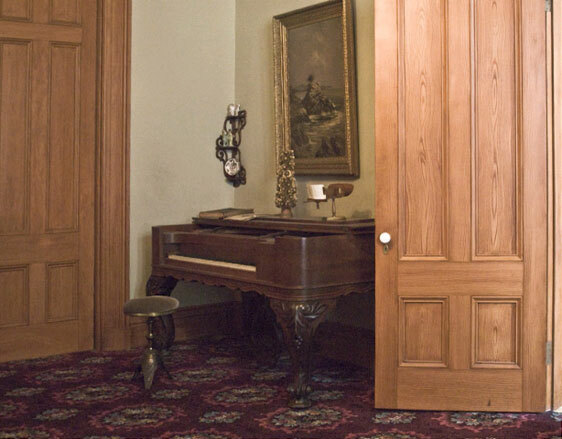 At that time redwood was typically used to fashion all doors and trim, then primed and grained to appear as expensive oak or other hard woods. Over the years a number of owners of the house painted over the original fine oak graining. In 1988 the home was purchased by the city of San Jose for preservation in the city's historic district. The 4 million dollar purchase and restoration of the fifteen room mansion was completed in 1994. George was commissioned by the San Jose Historical Society to reproduce the original oak graining on the doors and trim. 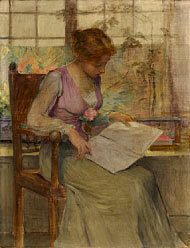 A color sketch rendered in oils was brought to Classic Art & Design, Inc. for restoration. Note the tear and the dingy look to the painting in the "before restoration" image. 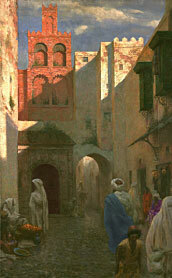 The restoration to the right was painted around 1900. It required cleaning and repair of rips. The image "after" shows the completed restoration.